More breweries are coming to an innovative new project on Chandler Street — but this time, they don't involve Rocco Termini. 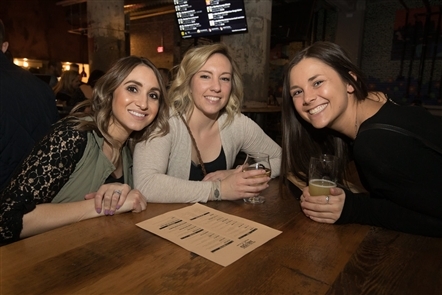 Joe Artanis, a local businessman and co-founder of a popular and fast-growing new microbrewery in Florida, wants to create a new beer hub or collective in Buffalo, where multiple firms would brew in a single large room, under one roof. At least five companies — from around the country and even internationally — are expected to commit to the project, which may also have an educational component. The hope is that the venture would yield not only collaboration but also introduce new brands to the Buffalo region, while enabling more distant brewers to expand to new markets. "Buffalo is a pretty strong market. We're looking at this being a destination," said Artanis, co-founder of Three Sons Brewing, along with his son, Corey. "Within 400 miles, there's 40 million to 50 million people and large metropolitan areas that will be drawn to these breweries." 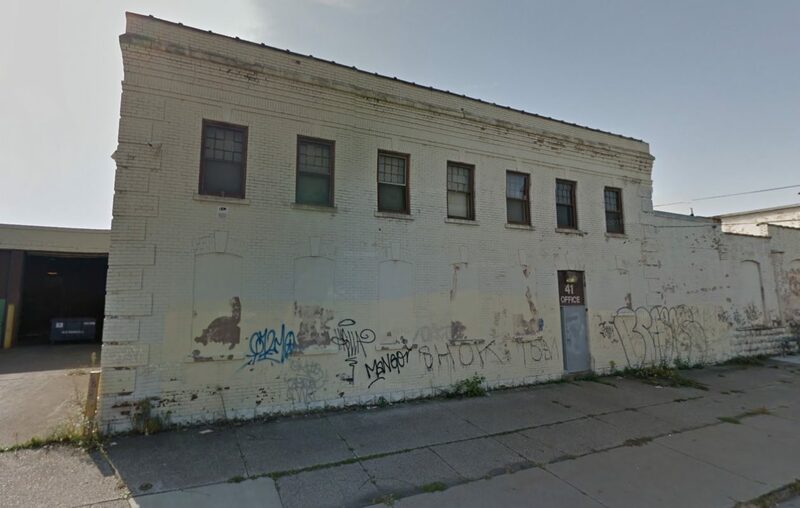 Artanis has chosen the vacant former Keystone Manufacturing industrial building at 41 Chandler, which he purchased in 2016 for $200,000. That's long before Termini started to remake the street into a vibrant business incubator and entertainment destination. "We wanted to find something that was relatively affordable and enough space to do what we wanted to do, and that building fit the bill for us," he said. He's working with CJS Architects to renovate the 25,000-square-foot light manufacturing facility, which includes a two-story former office section and a one-story clear-span manufacturing space, while also constructing a 4,992-square-foot addition. Artanis is seeking two variances from the Zoning Board of Appeals, including for parking. According to documents submitted to the Zoning Board, plans call for the existing building to house the 11,000-square-foot brewing operation, as well as a tasting room, offices and laboratory space. The brewing functions would be inside the building's east end. Other vacant land will be landscaped and used for a beer garden, outdoor event space and games, with up to four fermentation tanks sitting on the ground and grain silos located between the addition and parking. On the western end of the building, the clear-span area would host the tasting room and special-event space, as would the addition, which will be constructed on a vacant lot next to the east wall. Limited food service will be available for the taproom. The addition also would feature a "cool ship open-top fermenter," which uses wild and native yeasts to create "hyper-local specific flavors," according to the Zoning Board application. "It's a unique style of beer that's something that will bring a lot of people to the location," Artanis said. As part of that "open-air fermentation" process — which also will be open to view by visitors — the building would include a 5,000-square-foot greenhouse with a variety of plants and window panels that can be opened to allow for natural air to circulate. Among the attractions Termini is bringing to Chandler are Thin Man Brewery, Buffalo Cider Hall, Barrel + Brine, Tappo Pizza, the new Foodie incubator, and a planned pool club. "Buffalo has a lot of great beer and breweries. We're just excited to become part of that," Artanis said. "We'll be just another cog on the wheel to make Buffalo a strong destination for beer." Artanis said the lineup of participating brewers has not yet been finalized, but will at least include Dania Beach, Fla.-based Three Sons and Ironbelt Brewing Co., a new Buffalo brewery started by Willard Brooks, founder of the Buffalo Niagara Brewers Association. Two others are coming from outside the country. More details on the participants will be available in three to six months, he said. "You're going to have a collective of pantheon brewers," said Artanis, whose Three Sons was already ranked No. 1 in the world among new breweries and produces four of the top 100 beers. "The purpose of them being here is so they can expand on their brand and increase capacity into the Northeastern markets." And by partnering in a single facility, the brewers save significant money on expansion costs from either constructing new facilities on their own or contracting with a local brewer. "We're just leveraging the brand value," he said. The project will also incorporate a 6,000-square-foot craft and artisan "makers" space for smaller entrepreneurs to display and sell their wares. And Artanis is hoping to capitalize on the connections that Termini is making with Buffalo State College to bring students and interns.